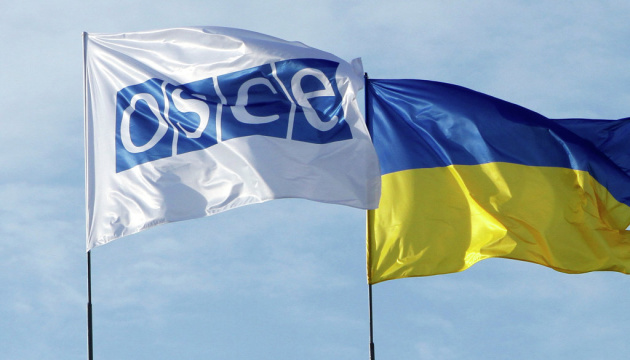 Ukraine has called on Coordinator of the Humanitarian Working Group at the Trilateral Contact Group (TCG), OSCE Ambassador Toni Frisch to engage in the establishment of the fate of more than 70 Ukrainians who are likely to be held in prisons in occupied territories of Donetsk and Luhansk regions. Ukraine's representative in the Humanitarian Working Group, First Deputy Chairwoman of the Verkhovna Rada of Ukraine Iryna Gerashchenko, wrote this on her Facebook page after a TCG meeting in Minsk on Wednesday. "The Russian Federation and its puppets from ORDLO [certain areas of Donetsk and Luhansk regions] continue the tactics of concealing information about the detainees and have not responded to our inquiries for years. Therefore, since there is no reaction to the fate of the people we are searching for, we have urged Ambassador Frisch to join the establishment of the fate of more than 70 Ukrainians whose detention in prisons is deliberately not confirmed to us (although the Ukrainian side has information and evidence of their illegal arrest). We have reason to worry that several Ukrainians from this list could have been tortured by militants," she said. Gerashchenko added that Kyiv had also appealed to Ambassador Frisch with the request to urgently visit the hostages in the occupied territories and make every effort to organize the systematic transmission of letters and the opportunity to call relatives. "I hope that such a visit to Luhansk will soon take place," she added. According to her, the Ukrainian side turned to Special Representative of the OSCE Chairperson-in-Office to the Trilateral Contact Group, Ambassador Martin Sajdik with the request to assist the transfer of letters to the relatives of Ukrainian hostages, and he promised to do so.